Jim and I attended the Lehigh Valley Airshow with a photo group from Unique Photo and Michael Downey. We arrived at 9AM so we could get good seats and take pictures of the planes on the ground. The real action didn't start until noon, and the action was non-stop for 4 hours. 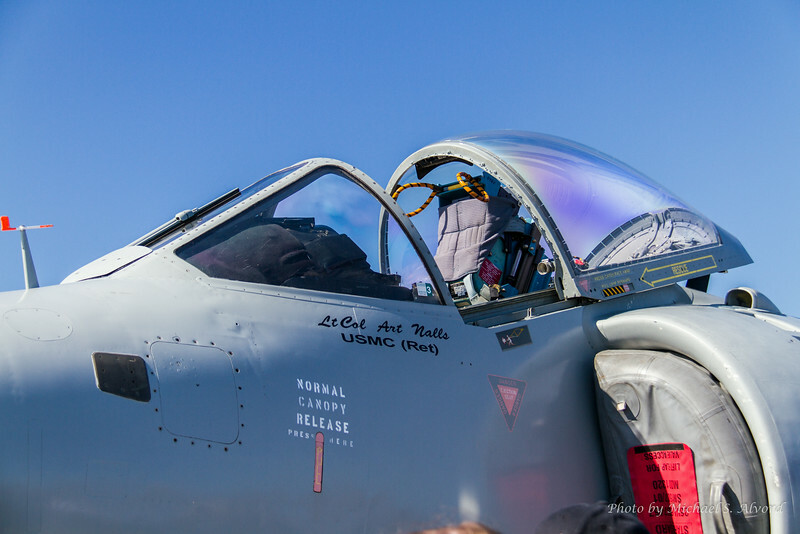 Lt. Col Art Nalls (Ret) owns the only private Sea Harrier Jet and gave a performance during the show.